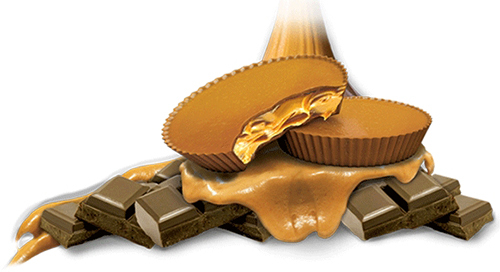 Quest Nutrition Quest Cravings Protein Peanut Butter Cups are the confectionary snack with real nutrition. Everyone loves peanut butter cups. For most, they are reserved as a special treat or bought in a moment of weakness. What if you could eat a delicious peanut butter cup every single day, and have it help you achieve your goals - fat loss, muscle gain, or just living a healthy life? The peanut butter cups you've had in the past are loaded with sugar and other ingredients you shouldn't eat. That's all changed. Over a year in the making, Quest Cravings are as healthy as a protein bar and just as tasty as a forbidden confectionary treat. With over 20 grams of protein, 4 grams of active carbs and no added sugar, you can eat Cravings every single day. These are high protein products that are actually good for you. This isn't candy, this is food that makes you better. It just happens to taste like candy. There's no catch, no asterisks, just simple ingredients, real food and perfect nutrition. One 50 gram serving (2 cups) has 20 grams of high quality protein. Just like your favorite Quest Bar, Cravings use cross flow filtered whey protein isolates, the only whey that doesn't compromise. No soy and rich in highly desirable Branch Chain Amino acids, their proteins stand out from the rest.